Compassion. Sometimes it seems our world has in short supply. There have been some shockingly violent occurences in the world lately. The murder of school children in Pakistan in December and of journalists in Paris last week, the massacre of 2000 people in Nigeria this month. District head Baba Abba Hassan said most victims are children, women and elderly people who could not run fast enough when insurgents drove into Baga, firing rocket-propelled grenades and assault rifles on town residents. Lizzi replied that she’d just written a post trying to inspire a counter to this kind of thing. That post is We ALL Need a Village. While I was reading it, it occurred to me that so many of us are writing about compassion, without always knowing that others are out there doing the same. What would it be like, I wondered, if we could get a thousand of us together and all write about compassion on the same day? How cool would it be if we could get 1000 bloggers on the same day to write posts about compassion, kindness, support, caring for others, non-judgement etc.? We could call it 1000 Voices For Compassion. I’ve been astounded at the response. Within 48 hours we are almost half way, with well over 400 bloggers or video-makers on board! What makes this so different to anything that’s come before is that we are ordinary bloggers from all over the world, from Australia, Singapore, India, the United Arab Emirates, the UK and the US (including Hawaii!) We’re not sages, we’re just like you. Some of us have large followings, some of us have tiny, but together we can all make a difference. Will you join us? If you are a blogger, or if you make videos for to upload to the internet, then please do join us! We welcome you. If you are on Facebook, send a request to join our group. You’ll find it with this link. 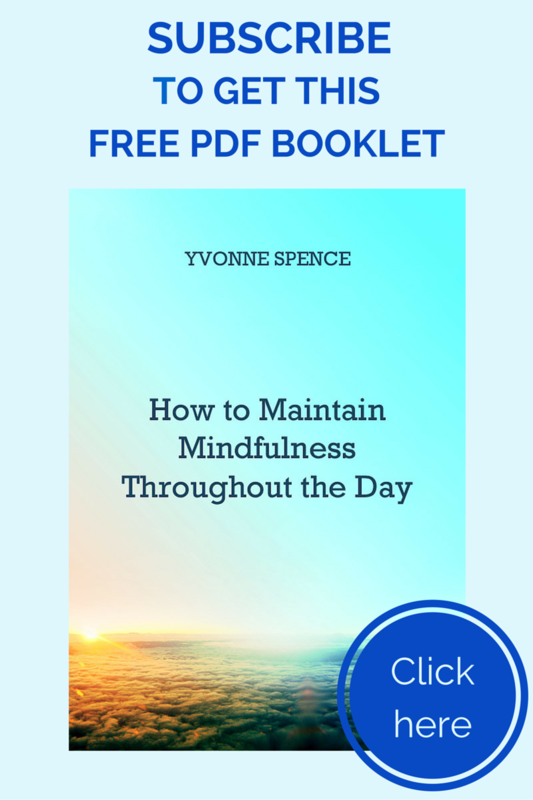 If you aren’t on Facebook, just drop me a comment saying you want to join in and let me know if you’d like to added to a mailing list, and you’ll be kept up to date with any new developments and with instructions for how to link up on the day. Not sure what you’d write about? What does compassion mean to you? Is there enough of it in the world, or would you like to see more? How do we feel compassion, and how do we lose it? You can tell the world about a time you felt compassion for someone else, or you can tell about a time someone was compassionate to you. Really, as long as your post is about compassion, you can write or make a video (or both) in any way you choose. Update: Our first event for 1000 Voices For Compassion took place on 20th February. 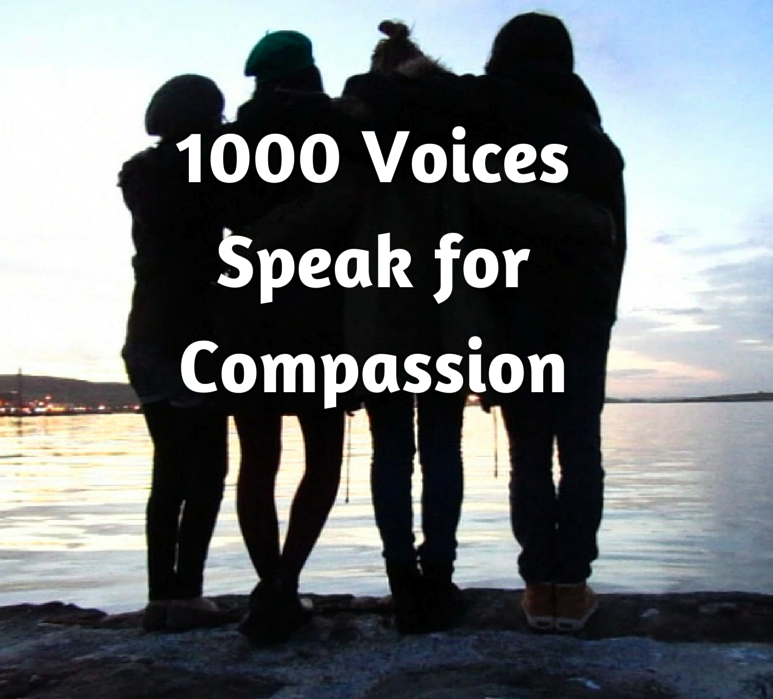 We now have well over the original 1000 Voices, and our group continues to grow, with many people eager to write about compassion on a regular basis. In response to that we are planning to hold another link-up on the 20th of March. Longer-term plans still need to be worked out, but it’s looking likely we will do something quarterly. Be sure to join our Facebook group or our Google+ Community for updates and instructions. You betcha I’m in if there’s a space. Geoff there is always room for you! Last night I started to write a comment on your latest post to invite you to join us, and then realised I’d better finish this one first. Since I posted this morning I’ve been non-stop organising so I’m so glad to see you in the group. I’m barely had time to pause for a second since we started this, and that is not a complaint. I’m thrilled by the amazing response. So wonderful to see so many people inspired to join in for compassion. There is definitely hope for the human race yet! If we go beyond 1000, then that will be a bonus! Lynda, thanks for joining us. Great to have you with us. Great. Thanks for letting me know you joined on FB Kathryn. We are delighted to have you onboard. My heart goes out to those that are suffering in the world. My tears flow when I read or hear of how others are being treated and it breaks my heart. I do want to make a difference. I send out love and healing daily in hopes that it will make a difference to those suffering and also to those causing the suffering hoping it makes a difference to them as well.. I have added my name to the FB group and will be writing a post for Feb. 20th. I would also like to be added to the email list. Thank you for facilitating the beginning of something wonderful! And thank you for joining in Morgan. It is so exciting to see the numbers grow, and to see how people are so feeling so passionate about this. Sending love to those suffering and those causing the suffering is a wonderful thing to do. What a great idea! I’ll be there!! Thanks for joining us Rabia. Great to have you. Thank goodness I somehow inspired you. You’re a GENIUS, and this is going BRILLIANTLY. WHOOT! I would like to join this “compassion carriage”. I love every BIT of this movement!!!! ALL voices can make a difference and spread goodness and love and COMPASSION through the World Wide Web… may this campaign move people, reach people, and make this world a better place. YOU and Lizzi are ROCKING this thing!!! Keep at it, and know I am right there with you Yvonne!!! I also am in!! Thank you Yvonne!! Can’t wait to see how this thing evolves and grows over the coming days and weeks. What an exciting project! Yay for you, Yvonne! I’m in! Lizzi’s been campaigning to get me on Facebook forever and this pushed me over the edge. I love it. Pingback: a lesson and a commitment | The Last American Girl? What a wonderful idea! Please may I join, too, from Cape Town, South Africa? You can join from anywhere in the world Briony! Thank you. Brenda, yes, it is easy to feel helpless when we feel alone. Together we have strength to make change. Thanks very much for joining us. Thanks you everyone for your comments. I am sorry not to reply individually, but it has been very hectic lately in many ways. I appreciate every comment! Hi, I would definitely like to participate in this movement. I will also try my best to get others interested in this as well. It would be great if I could get some clarification on when I should post my blog and how I should link to this. We are joining as well. Every voice counts. What a meaningful thing to put together. What a great post idea to bring the blogging community together! I’m a relatively new blogger, but I REALLY want to join. Can I join please? Just re-read this another time. You and Lizzi are amazing and I so very proud to know you. Truly I am. This is such a great idea! I am very excited to be involved (I joined the fb group a couple of weeks ago), I can’t wait to read what other bloggers write! I just finished my first draft of the blog post – I can’t believe the power behind this movement – hopefully this will be the first ANNUAL mass-compassion bloggerama! Brilliant idea and thank you for all the work you’ve put in to this! Great thing you started, Yvonne. Thank you for getting us all together on this important theme. My contribution is up on my blog today.